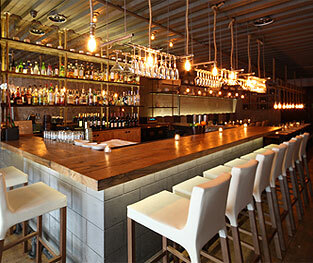 HANJAN is Chef Hooni Kim’s second restaurant after DANJI , located in the Flatiron District in New York. It was inspired by the 'joomak,' an old Korean tavern that offered weary travellers good food, good drinks and a place to rest. Many of the dishes at HANJAN are meant to evoke Korean street markets that offer comfort food enjoyed by people in Korea in their everyday life. At Hanjan and Danji we choose to use meat raised with no antibiotics or growth hormones. Our fish are caught wild and are not overfished and endangered. We try to use as much organic and local produce as possible. No doubt these ingredients cost more but we believe the food we consume should be healthy and responsible as well as delicious.